The increasingly emergence and spread of antimicrobial resistance to antibiotics has foreshadowed the possible return of serious untreatable infections. Accurate, timely susceptibility testing of microbes has become important to guide the physician in drug choice and dosage for difficult-to-treat infections, and ensure optimal effective patient-tailored antibiotic therapy whilst at the same time avoiding over-prescription, which ultimately saves money as well as helps reducing development of resistance. Antimicrobial susceptibility tests (AST) are used to determine which specific antibiotics a particular bacteria or fungus is sensitive to. Agar dilution and broth dilution are considered as reference methods for in vitro susceptibility testing and are also used to evaluate the performance of other methods of susceptibility testing. The testing results are commonly reported as the Minimal Inhibitory Concentration (MIC), which is defined by the lowest concentration of a drug in which no visible growth occurs, the tested microorganism will be classified as either clinically susceptible, intermediate or resistant to the tested drug. The interpretative standards for these classifications have been published by Clinical and Laboratory Standards Institute (CLSI) in the USA and the European Committee on Antimicrobial Susceptibility Testing (EUCAST). MIC test is the gold standard for in vitro detection of antibiotic resistance. By deployment of the latest innovative technologies and advanced manufacturing techniques, Creative Diagnostics offers AST products against a broad range of pathogens and antibiotics with high test performance, which include both antibacterial and antifungal products. 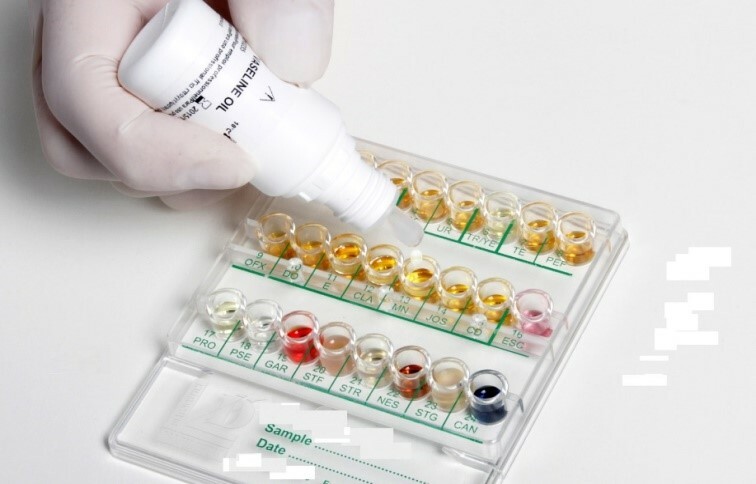 The MIC test strips impregnated along its length, with a predefined and dried antibiotic concentration gradient and are marked on the upper surface with a concentration scale, across 15 two-fold serial dilutions based on a conventional MIC method. 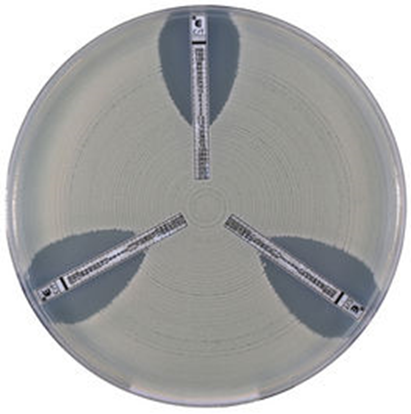 After incubation this creates an ellipse shaped growth inhibition area on the agar plate, where the ellipse meets the strip, the MIC can be determined from the concentration markings on the strip. The Panel-based disposable, plastic, dried microdilution trays contain several antimicrobial agents with a range of two-fold doubling dilution concentrations, which are prepared using dispensing instruments that aliquot precise volume of pre-weighed and diluted antibiotics in broth into the individual wells. Creative Diagnostics also provides combination panels including an ID side with dried substrates for bacterial identification, an AST side with varying concentrations of antimicrobial agents, making possible to identify the pathogen and simultaneously determine the antimicrobial susceptibility pattern.